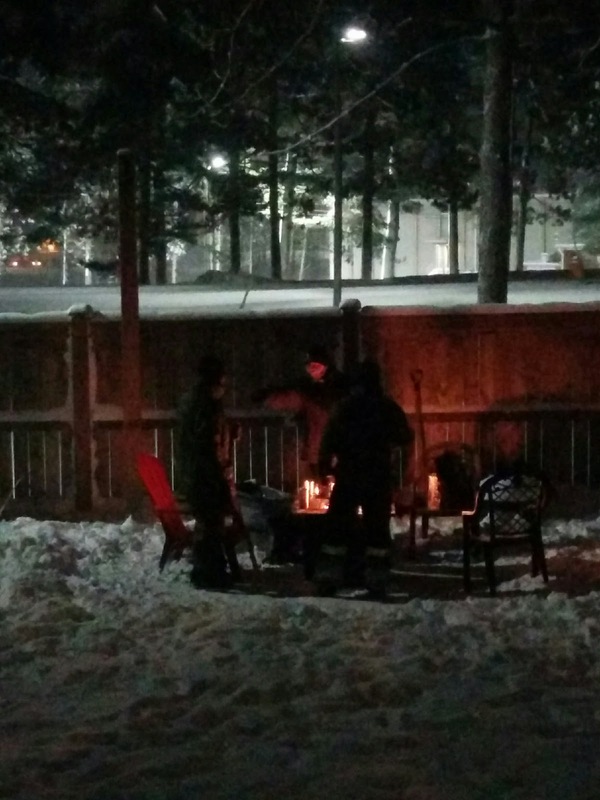 So, what to do when a surprise snow storm hits and the temperatures have been -20C or so with the windchill? Well, curl up on the couch and stitch, of course! Our weather has been frigid since Christmas with a constant flurry of snow that is amounting to a decent amount of snow. Yesterday, a dumping of 15cm of snow fell and there was nothing in the forecast. This picture is of our way of embracing winter. The temperature last night may have been -26C with the windchill and we stood as close as we could to the firepit to gain any warmth, but we were having FUN! 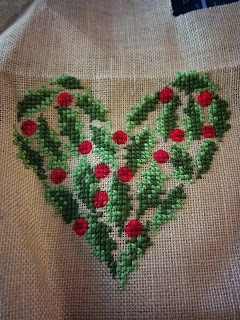 I just put the last few stitches in to this cute design that I started yesterday on a scrap piece of 28 count linen. You can find the pattern here on pinterest. I used threads from my scrap bag with a little supplementation from my DMC stash of skeins. The stitching is probably 4" by 4" if I remember correctly from my measuring of the cloth when I pulled it out of the fabric stash. Heart shaped ornaments are really catching my eye these days. Not sure why the affinity for hearts, perhaps because there has been a fair bit of emotional and physical healing in this house these past few months. 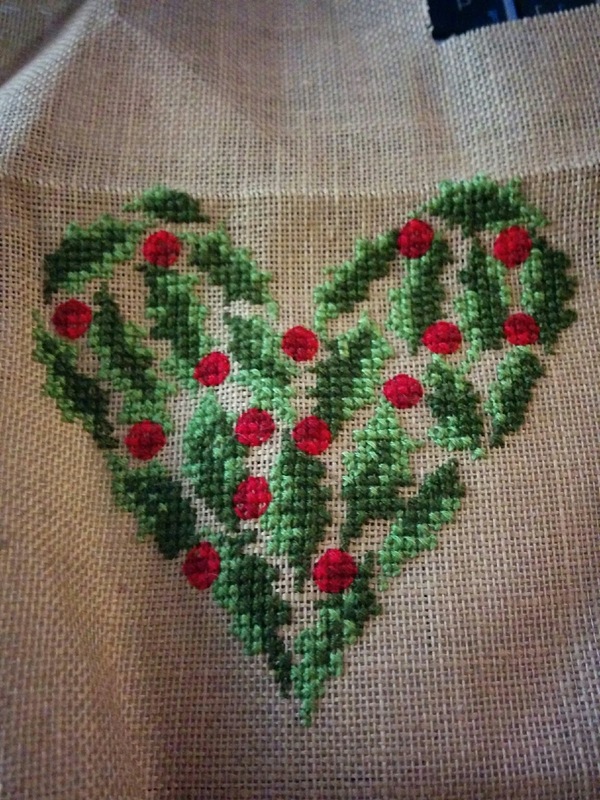 There is something soothing to me about hearts. Stay warm and happy stitching!